Evanescence incarnated on terra australis to celebrate their forth album, i.e. 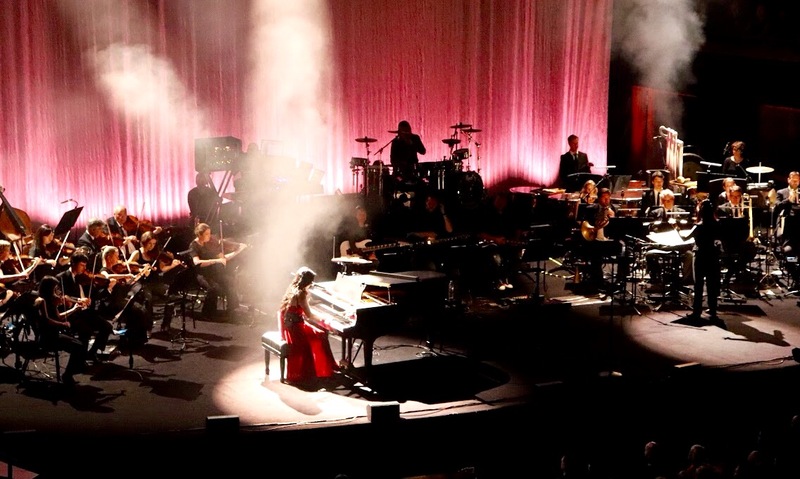 Synthesis, via a collaboration with local Symphony Orchestras, which makes sense as the album does exactly that – reimagining their back catalogue backed by a full orchestra and electronica adding a subtle and at times interesting additional layer to the performance. If you are remotely familiar with the DNA of Evanescence’s oeuvre, imagining such a synthesis, i.e. creating a mélange of their trademark nu metal, a tinge of EDM and classical music, should not prove to be too difficult as their songs are built on a solid foundation of bombast and embedding the gothic rock band within a symphonic context seems like a natural extension. 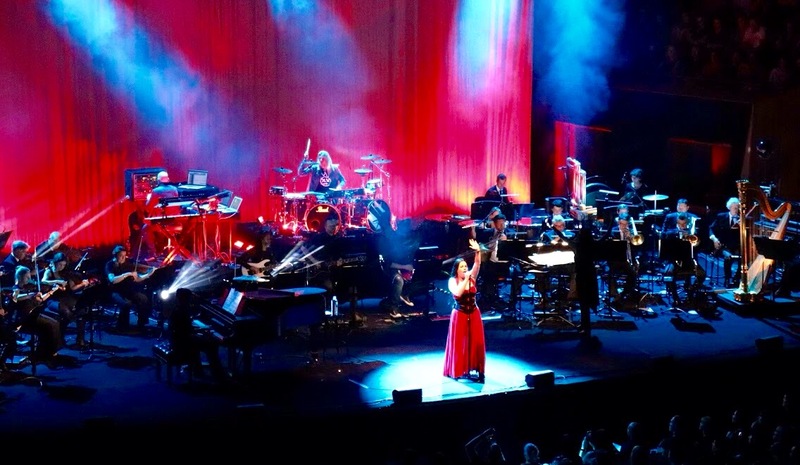 Eighteen songs in close to ninety minutes were delivered in the altehrwürdige Opera House, which proved to be a suitable location for singer Amy Lee to channel her operatic alchemy. Impressive in range, power and always on-point, she effortlessly carried the show and was the focus of the action, no matter if she is front and centre with a commanding presence or playing the piano serenading the audience somber and nuanced ballads centered around the recurring tropes of loss and longing. The dualism between of her charismatic, empowering valkyrian stage persona fronting not only her band but the whole of an orchestra and the humble, down-to-earth characteristics that shone through when Amy Lee addressed the audience work in her favour and add charm as well as another dimension to the delivery. The evening was not so much a rock meets classic kind of affair but rather a natural, organic blend that was at times reminiscent of an epic movie soundtrack – one that did not lack emotional impact as the enthusiastic reactions of the crowd proved.